This past Saturday, my wife and I drove out to Vale, NC to find Mitchem Farms, a local farm that sells the biggest, juiciest blackberries you've ever seen. We purchased about 60 pounds of blackberries from them, some to make a pie with, some to make some blackberry syrup with, and the rest were for blackberry wine. We couldn't make the wine immediately, as I had to clean up the equipment and work area in the basement, so I put the blackberries in the chest freezer with a thermostat to prevent the temperature from getting below 40° F. Last night, we pulled the blackberries out of the freezer to start making wine. I didn't want to follow anyone's recipe for this wine, I wanted to do it my way. A lot of recipes would have you smash the berries in a mesh bag and leave it in when you are fermenting. I didn't want the wine to be too tannic from the blackberry seeds so I decided to juice the berries, which was a bit of an adventure! I used the same press I use for grapes, which sort-of worked. Apparently, blackberries don't mash very well, they sort of get slimy and slide around. 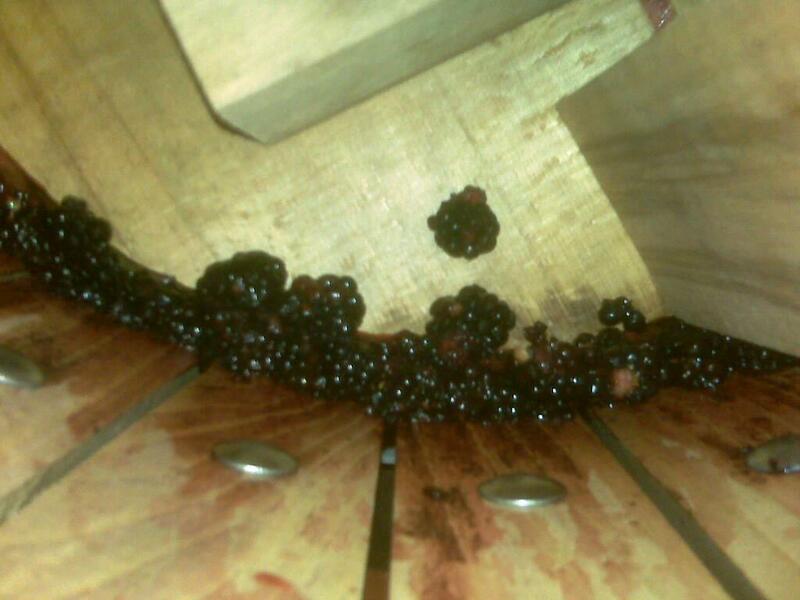 There were blackberries squeezing through the slats and out on top of the wooden blocks of the press. When we got close to the bottom of the press, my wife decided that her hands might work better in getting the rest of the juice out. After she got as much as she could that way, we poured water over the blackberry pulp mass, to mix in with the juice and flow out. 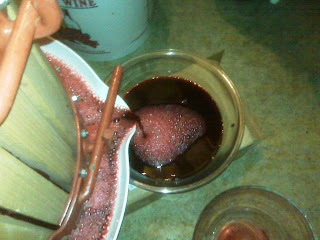 We did allow a small amount of the pulp into the juice so we could get more of the fruit goodness in the wine. I was shooting for a alcohol level between 12% and 14%, so I dissolved about 10lbs of sugar in boiling water, and added it to to the juice. 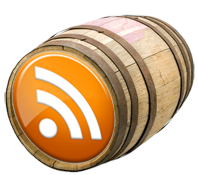 That brought the specific gravity up to 1.10 (which makes the potential alcohol level about 13%). After that I added potassium metabisulphite (to protect against spoilage), pectic enzyme (to dissolve the fruit pulp). Margot made a blackberry cabernet last month and it does have a bit of a tannic bite, but kid of nice for a fruit wine. WineBoy Thought I Was Joking!